Air Bear® media filters trap particles as small as one micron. They are non-woven, 5 in Thk, pleated, and are tested using ANSI/ASHRAE 52.2 - 2007 standard procedures. Efficiency ratings of MERV 8, MERV 11, and MERV 13 are available. 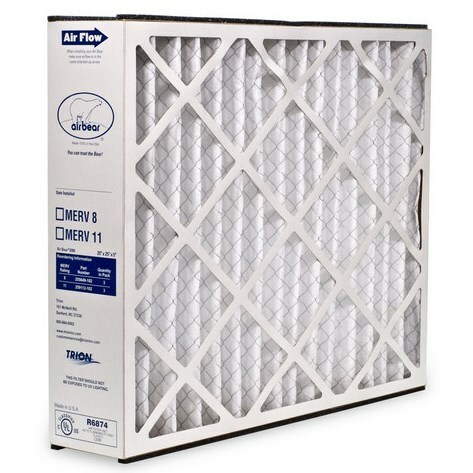 Air Bear® media filters fit models from Generalaire®, Skuttle®, Ultravation®, and other popular models.